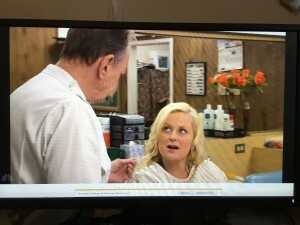 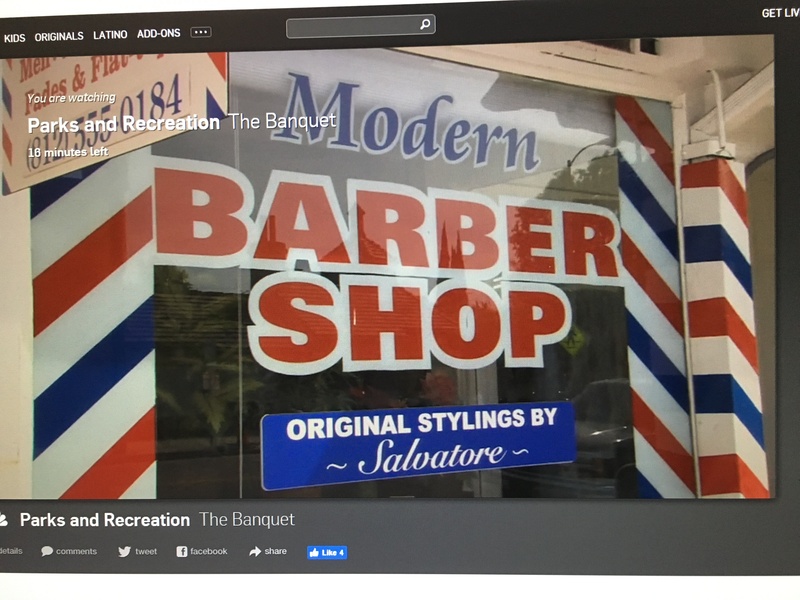 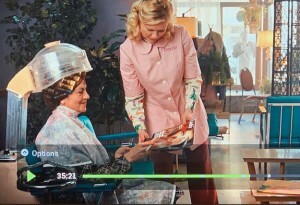 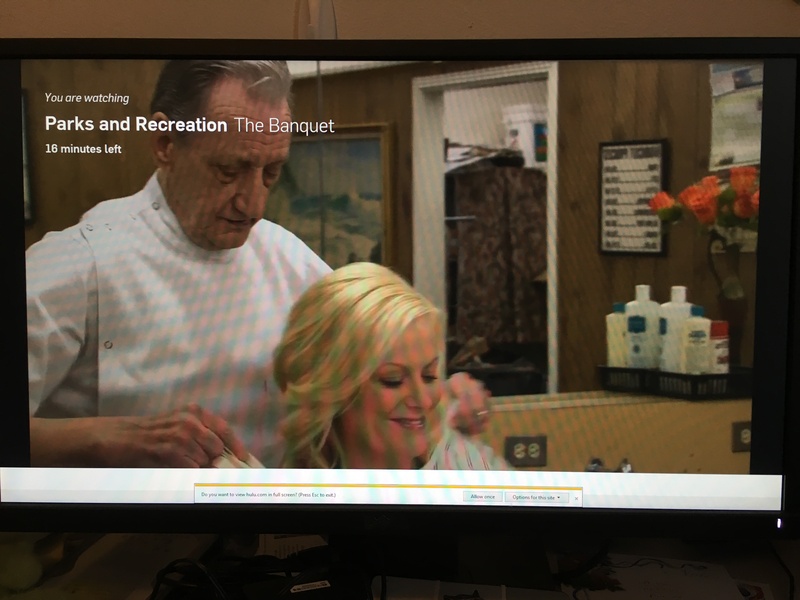 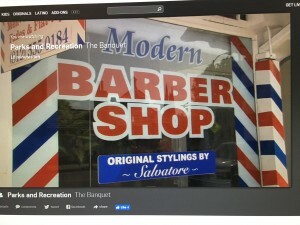 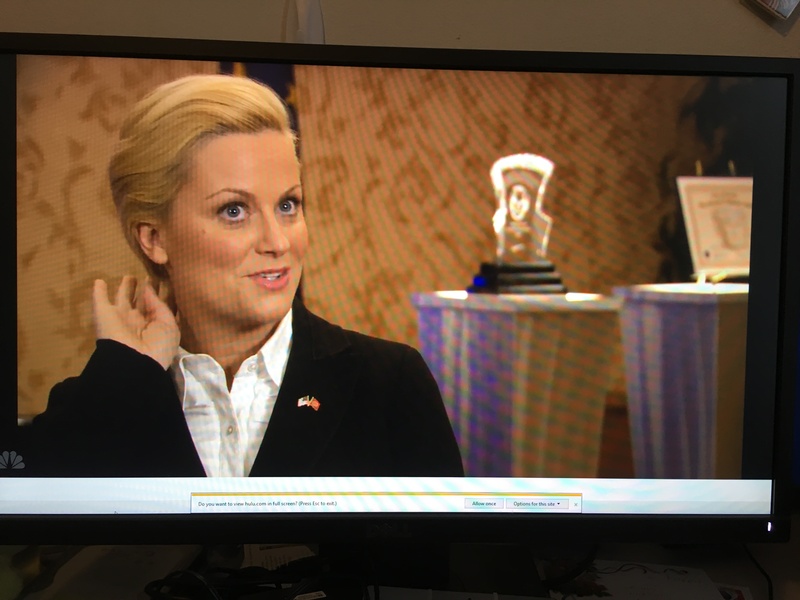 While watching Parks & Recreation the other day, I noticed a barber shop scene around the 5 minute mark, of the episode titled, "The Banquet." It's episode 5 in season 1. 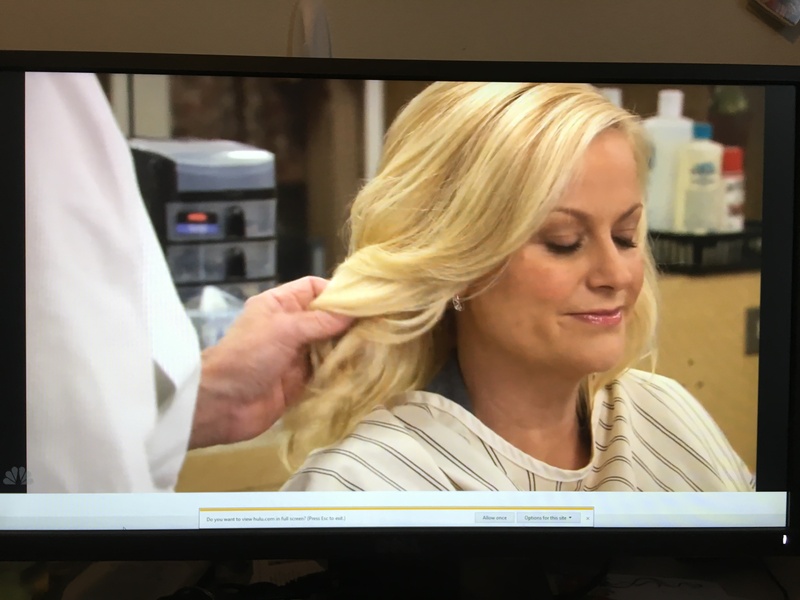 There's a hair salon scene in Taxi, episode 18, called "The Unkindest Cut." 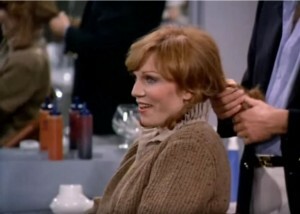 Elaine visits a posh salon for a new hairstyle and gets one.